Let’s face it, we all have chores we have to finish, but not enough time or energy to do them. Appliances such as washers and dryers exist to make our lives easier and get us through the day. However, when one stops working, not only does this add another task on your “to-do” list, but it also puts a pause on your other responsibilities. At Mr. Appliance of Fredericksburg, we understand the last thing you want to worry about is a broken stove or leaking fridge. Contact our appliance repair experts in Fredericksburg for dependable services you can count on. For over 20 years, Mr. Appliance has been the trusted name in appliance repairs and maintenance. We help home and business owners save money by getting appliances to work like new again. 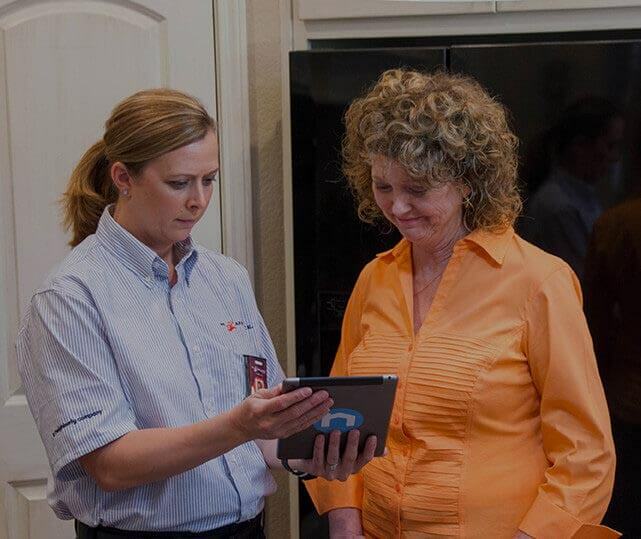 Our appliance repair technicians in Fredericksburg are highly trained and passionate about their trade. They have extensive knowledge about all major brands, which allows them to carefully diagnose the issue and create customized solutions. As a locally owned and operated company, we are dedicated to our community. We provide upfront, honest pricing so you know exactly what to expect from our services. By charging by the job and not the hour, you can trust we’ll address all your concerns and questions without you having to worry about the price. Because we respect your time and property, our team always arrives promptly and ready to work. We keep clean workspaces during and after a project, so you can rest easy. For appliance repair services in Fredericksburg and Stafford that is done right the first time, call (540) 779-1436.